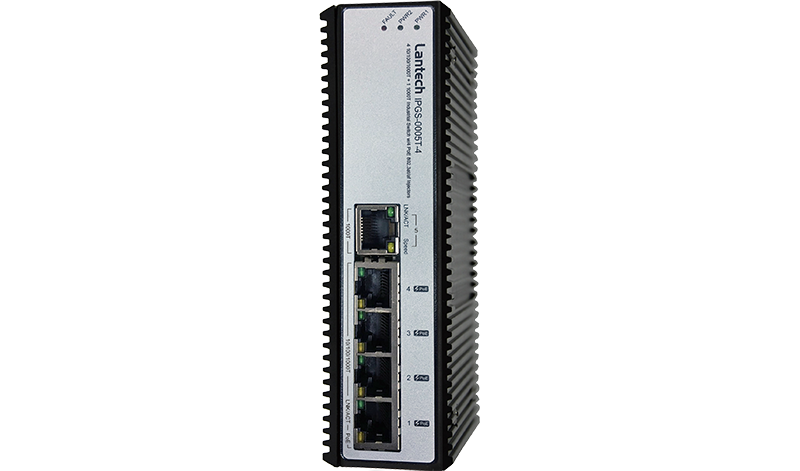 The Lantech IPGS-0005T-4 is a 4 10/100/1000T + 1 1000T with 4 IEEE 802.3at/af High Power PoE Industrial Switch. The IPGS-0005T-4 is a cost-effective solution, which meets the high reliability requirements demanded by industrial applications. Besides, the equipment meets IEEE 802.3at standard, the switch can provides 30 Watts output per PoE port for Powered Devices. The switch supports wide operating temperature, range from -40°C to 75°C. The Lantech IPGS-0005T-4 is designed to meet the demands of Industrial environments, comes packaged in a robust IP30 housing and has been tested extensively to meet Industrial EMI and EMC standards. Rigorous mechanical testing has also been undertaken to comply with free fall, shock and vibration stability test requirements. With voltage boost design, the IPGS-0005T-4-12V can work from 12/24V input power source and boost the voltage to 54VDC to feed the POE power over Ethernet cable for any vehicles that usually has 12/24V power source. 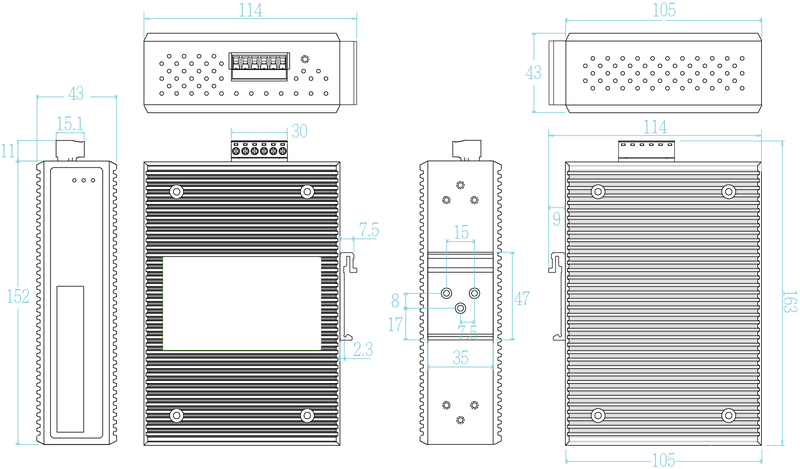 It can provide PoE budget of 80W at 12V input or 120W at 24V/48V input. The slim compact design is able to fit in variety of cabinets and space. RJ-45 port # 1~# 4 support IEEE 802.3at End-point, Alternative A mode. Per port provides 30W at 54V ability.